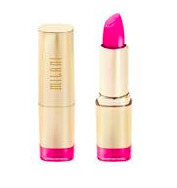 I just got the scoop on Milani Cosmetic Color Statement Lipstick! Check out the details below! Although you might not be able to make it to Italy this summer, there’s no reason why you can’t rock these lip looks inspired by some of our favorite cities. Look like a local with Milani Cosmetics Color Statement Lipstick ($5.49 each) without ever stepping foot in the foreign country. Known as one of the fashion capitols of the world, Milan will inspire you to strut your stuff and get in-tune with the season’s hottest trends. Feel like a model in Milan with Color Statement Lipstick in Rose Hip, a bold and bright on-trend color for the summer season. Modern-day Rome juxtaposes the rich history and tradition of ancient Rome with the contemporary urban style of its locals. What better place to try Color Statement Lipstick in High Voltage, offering a modern twist on a classic red shade. The locals of Venice are relaxed, romantic and creative. Color Statement Lipstick in Plumrose is a passionate and easy-going color, featuring a subtle rose hue perfect to set sail in a gondola down the winding canals with your love. Florence, a city filled with priceless art and statues from the likes of Michangelo put you in touch with your artistic side. Be inspired to experiment with shades like this bright hue, Color Statement Lipstick in Violet Volt. Let this beachy island bring out your getaway persona. Once the sun goes down, add a touch of tropical glamour to your outfit with Color Statement Lipstick in Sweet Nectar, a citrusy hue that pops perfectly against a golden tan.